Along with its tenth anniversary, Animal Friends announces the fourth, unique and even richer ZeGeVege Festival of Sustainable Living! - October 14 and 15, Trg bana Jelacica: numerous exhibitors and performers, healthy food, one hundred prizes, free make-up and massages... and special guest Heather Mills! So far more than 35,000 people have visited the ZeGeVege Festival. It has become popular for its unique offer and a recognizable waymark toward a sustainable lifestyle. The aim of the ZeGeVege festival is to help citizens in Croatia to use essential natural resources without destroying the environment, endangering animals and the well-being of other people. The ZeGeVege Festival is held under the auspices of the City of Zagreb and the mayor of Zagreb, Milan Bandic, will visit it on the first day, while the Office of the President of Croatia has given support to the festival. This year's ZeGeVege Festival of Sustainable Living will be held at Trg bana Jelacica on Friday, October 14, from 10 A.M. to 10 P.M. and on Saturday, October 15, from 9 A.M. to 3 P.M. The special guest who will support the ZeGeVege Festival is UN Goodwill Ambassador and long-time animal rights activist Heather Mills. Heather Mills will address the visitors of the ZeGeVege Festival on Friday, October 14, at 4 P.M., with some words of motivation about the importance of sustainable living and plant based diet. More than 50 exhibitors - healthy food producers, manufacturers of cosmetics and cleaning products which are not tested on animals, eco-products, eco-agriculturalists, animal protection organizations and environment protection organizations will be presented at the 4th ZeGeVege Festival. Visitors can look forward to many tastings and promotional sales, as well as various educational and fun activities. There will be a two-day entertainment program on stage, including the evening program, where many performers will appear, from the children's choirs Kikici and Genijalci, the humanitarian project against violence among children "The Drum Takes Everything Better" to performers like the ethnic choir Cipkice, Elma, Irish Maiden, Pop Rock Academy and Istvan Varga. The audience will enjoy various musical and dance genres like jazz, pop-rock, hip-hop, ethnic, standard and Latin dances, belly dancing, Irish and Indian dance, tribal, capoeira, salsa, zumba fitness and street dance. The ZeGeVege restaurant will host Anton Rudan, "The Forest Chef," famous for his dishes made of wild plants. Visitors will be offered healthy and tasty dishes at a promotional price. Anyone who buys a meal at the restaurant will get the opportunity to participate in the raflle and win one out of more than a hundred attractive and valuable prizes from the exhibitors at the ZeGeVege Festival! Prizes include a night at a Croatian B&B with the V-label, healthy vegan foods, cosmetic products not tested on animals, books, massagers, herbs, anatomic pillows, laundry balls, etc. In addition to the kids' corner and workshops, free make-up, hair and massages with products which are not tested on animals will be available. Also, there will be many tastings of various plant based foods and eco-vegetables, visitors will see ecological inovations and take advantage of sales and discounts. The ZeGeVege Festival offers educational content in the video corner, where people will be able to see a new film "Making the Connection" about the sustainable lifestyle. A recycling yard will be set up to encourage citizens to separate their waste and care for the environment and the animals. Eco-light bulbs will light all stalls, while the restaurant will be lighted by LED bulbs. An electrical car, electrical bicycle and many other interesting things will be presented. The program and more information on the ZeGeVege Festival can be found at www.zegevege.com. 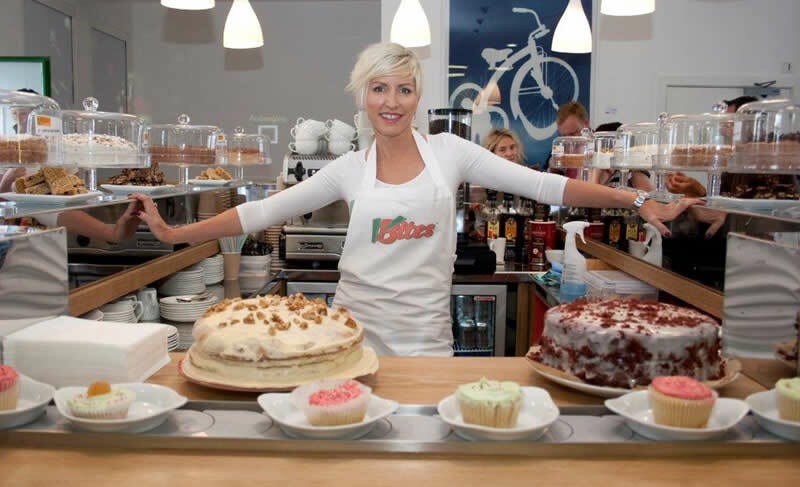 Heather Mills will visit ZeGeVege Festival at 4 P.M., later at 5.30 P.M. she will cook for members of the media and visitors at the Mercator Centre at Ulica Grada Vukovara 269b. Exhibitors at the 4th ZeGeVege Festival are: Dvostruka duga, Tim k naravi, Sapunoteka, Utociste TarraLand, International Gabriele Foundation, Glas zivotinja, Roda, Shelter for abandoned animals of the City of Zagreb, Volunteer's Center Zagreb, Lush, Melvita, Repro Eko, Zmajevna, Labud, Obrt za eko igracke Adamovic, Bio-zrno, bio&bio, OPG Radanec, OPG Vladimir Sinko, OPG Oreskovic, Annapurna, OPG Violeta Lovrec, OPG Vlado Posel, Eko proizvod, Quarnero, OPG Tomislav Janusic, OPG Fucek/Bioherba, Omegol, Ekozona/Tofu Shop, Vegetariana, Eko OPG Hujic, Redwood, Ulola, Prasadam, Advent, Zlata Nanic, Borka Plavsic, Biodar, Ami cat and dog food, Tomar, Sindikat biciklista, OPG Mirjana Strancaric, OPG Marija Mudric, OPG Ira Branilovic, OPG Marijo Lasan, OPG Nada Stoicev, OPG Ivan Stoicev Nankov, OPG Marijan Mavracic, Encian, Vegetarijana Sombor, Zelena prica, Pobjede, Mooncup, and Nutrivita. Performers at the 4th ZeGeVege Festival are: Istvan Varga and Gabrijela Pilic, Jelena Diklic, Nefertiti - Hula Skupina Leilani, Dance club Scorpio, Tequila Mosquitos, Zuzana, Ting! Tribe, RadheSyam dance studio, Natasha Moskaljov, Elma, Etno choir Cipkice, dance group Irish Maiden, IFEEL, Luka Medic Trio and guests, Dz81, Zykopps, children's choirs Kikici and Genijalci, "Happy Hoop" workshop, Eva Pozar Kardum, Senzala, Pop Rock Academy, POU Zagreb and The Drum Takes Everything Better - the humanitarian project by BIO-vizija. The graphic design is sposored by Zale, and sponsors of the raffle are: Pansion Cherry Blossom, VerVita, Dvostruka duga, Sapunoteka, Melvita, Labud, bio&bio, OPG Radanec, OPG Oreskovic, Quarnero, Omegol, Ekozona/Tofu Shop, Vegetariana, Ulola, Eko OPG Hujic, Zlata Nanic, Borka Plavsic, OPG Mirjana Stancaric, OPG Marija Mudric, OPG Ira Branilovic, and Saponia. Free hair and make-up is provided by Rituals, Dr. Hauschka and Paul Mitchell, and the official restaurant of the ZeGeVege Festival is organized by Vegehop. Sponsors of the ZeGeVege Festival are: Alpro, Arto, bio&bio, Encian, Iskon, Kerschoffset, Vegehop, Libertis, Meridian, Philips, Vectordesign, Vegehop, Nova glazbala, Zelena prica, Energetski institut Hrvoje Pozar, Grundtvig Project, the National Foundation for Civil Society Development, Vilin konjic, and Katarina Dzale. Media sponsors of the ZeGeVege Festival are Radio fit fm, Z1 television, Zdrava televizija, net.hr, Port.hr, Medikus.hr, Zagrebancija, zena.hr, idemvan.hr, Biosvijest, Radio 101, Kreni zdravo, supraZdravlje, Jutarnji list, while Zdrava Krava has become the friend of this year's festival.